It is well known that you do not have to live near water to experience the effects of flooding in your property. It is also understood that you can’t control when and where flooding hits. However, you can prepare for a flood risk effectively, to increase safety and subsequently mitigate the severity of damage. When flooding is expected or is widespread, the emergency services, insurers, local authorities and other support agencies can be overwhelmed. It is important to understand the correct precautionary measures you can take when faced with the prospect of flooding. Take a look at our top tips for flood risk preparation below. 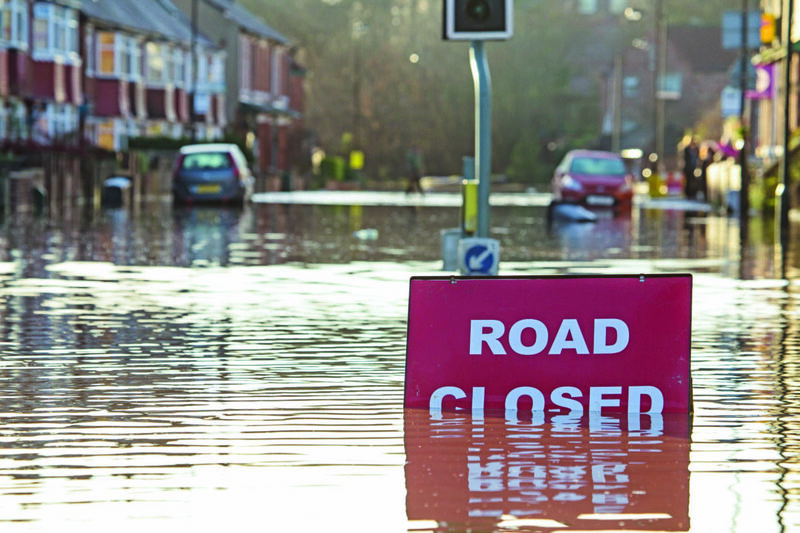 As we know, flooding can be unpredictable and with climate projections suggesting that extreme weather is likely to happen more frequently in the future, it’s vital you understand and reduce your risk. You can find out if you live in a high-risk flood area at FloodRe’s website here, and are at risk of surface water flooding here. There are some precautionary measures you can take to protect your property in case of flooding, to decrease the likelihood of damage. It’s best to expect the unexpected and prepare as much as possible. This includes keeping sandbags, FloodSax, spades and wheel barrows at the ready in case you need to make a temporary clean-up before the professionals arrive. Ensuring your valuables and sentimental items are stored in high places is also beneficial in case of flooding inside the property. Check out Bre’s Six Steps to Property Level Flood Resilience for Property Owners, here. Restoration of property possessions after flooding requires specialist knowledge and should be undertaken by professionally qualified damage management technicians. After a major flooding incident, stress can be heightened when you feel helpless and uninformed, with insurers, loss adjusters and contractors naturally in high demand, and the sheer volume of resources needed to respond. Ease the pressure on yourself and professionals by gaining an understanding prior to any flood events. It is important you are informed of the correct steps to take before professionals help you. The BDMA provides many helpful resources when preparing for a flood risk. You can find our flooding self-help sheet here or information on basic flood recovery procedures here.